Home AI Market ResearchAI Methodologies & Best Practices Do Companies Need a Chief AI Officer (CAIO)? The short answer to the above question is “no”. But let’s get into the specifics. Clearly for many companies, Artificial Intelligence (AI) and the range of Cognitive Technologies are strategic to their businesses and organizations. Indeed, for many companies, AI is as fundamentally important to their long-term well being as their IT organizations and finances. So, if you have a Chief Information Officer (CIO) in charge of all the information and IT-operation activities in the organization and a Chief Financial Officer (CFO) in charge of all the finances for the business, why shouldn’t you have a Chief AI Officer (CAIO) in charge of all the AI-related activities? Do you have a Chief Mobile Officer or Chief Internet Officer? Part of the reason why companies feel inclined to create the CAIO position is a reflexive reaction to how critically important cognitive technologies are to the range of problems companies are trying to solve. In our numerous podcasts, customer interviews, briefings, and interactions, Cognilytica sees a wide range of applications of AI, ML, and cognitive technologies to solve a broad array of challenges. From helping to identify and defray fraud to improving business processes to new products and services that have not previously been possible, AI is enabling a wide class of solutions. Indeed, that’s why Cognilytica has built an entire business and practice around AI — if it wasn’t so fundamentally significant to the future of enterprises and organizations of all types, we would not have deemed it important enough to focus our company around it. 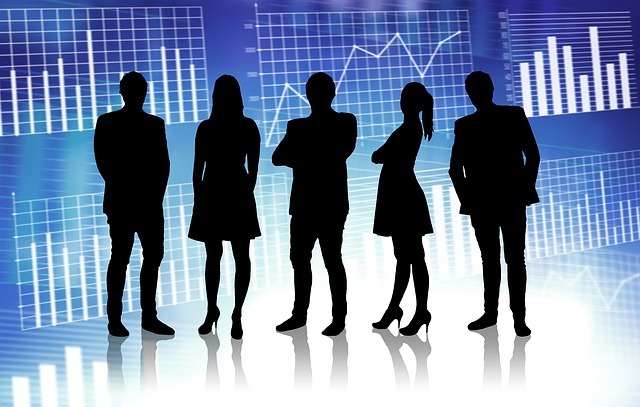 However, just because something is important, even fundamentally and significantly so, doesn’t mean that the corporation’s management team needs a shakeup with a new person at the top rung in the organizational structure. Every few decades, a new major technology movement comes that shakes up the economy and shuffles the way businesses work. In the recent past, the most significant of these movements have been the emergence of the Internet and mobile devices as separate major technology trends. There’s no doubt that the Internet pretty much changed everything in most industries from retail to finance to real estate, and similarly there’s no doubt that the emergence of mobile computing was another tectonic shift for those industries and others that might have weathered the Internet revolution. Yet, did we see an explosion of Chief Internet Officer or Chief Mobile Officer titles? Perhaps at the early stages, companies flirted with those titles as a way to signal to the outside world that it took the Internet and mobile seriously, but now I think you’d be challenged to find any Fortune 1000 company with those titles as part of the top-level “C stack” in the organization. Why is that? Simply put, while there’s no doubting the significance of the Internet, mobile, and other movements such as Big Data and cloud computing to the enterprise, the strategic portion of the organization didn’t need some new high-level executive to add to management team. If anything, companies saw these new movements reinforcing the value of their existing team and adding to the strategic importance of management-level titles such as the Chief Information Officer (CIO) and Chief Technology Officer (CTO). If AI and Cognitive Technology are Important to You, then Get Your Existing C-Level Team to be “AI-First”. Much of the reason why companies are creating CAIOs is because they want to signal to the outside world that they find AI so core to their business and mission-critical that they will create and elevate a position within the company that’s solely focused on AI and directly reporting to the CEO. However, it seems both short-sighted and organizationally confusing to use a C-level title as a way of indicating to the outside world the importance of a company’s AI efforts. Rather than create a whole new C-level executive, companies that are itching to name a CAIO should instead follow the examples of companies that have declared their intent to be “AI First”. Specifically, over a year ago, Microsoft decided to ditch their “mobile first” mantra, which was questionable in its ability to have the strategic results the company desired, to become “AI first”. In the speech announcing the move, Microsoft CEO Satya Nadela stated, that Microsoft would create “best-in-class platforms and productivity services for an intelligent cloud and an intelligent edge infused with AI”. This is just as much about putting a stake in the ground for the market and competition to know as it is as a rallying cry for their internal employees and stakeholders. Microsoft even when a step further, creating a dedicated site with a mission-statement, objectives, and ethical considerations in its move to be “AI First”. If anything, this says more than simply appointing someone to an ill-defined CAIO role. Likewise, in 2017, Google also declared their intentions to be “AI-first”, moving away from a mobile-first and mobile-centric world. Specifically, Google CEO Sundar Pichai stated that Google was moving away from “searching and organizing the world’s information to AI and machine learning.” That’s a very fundamental statement for a company that built its reputation on wrangling the world’s information. Both Google and Microsoft took action to followup on their words and made major executive changes, but did not appoint a CAIO. Google named a new head of AI initiatives and Microsoft split its development and engineering divisions into a Cloud group, an AI group, and an experiences and devices group. These were all big management changes, and yet no CAIO. What Would the CAIO Be Responsible For Anyways? Another thing to consider with regards to the CAIO role: just who and what would the CAIO be managing as part of the role’s organizational efforts? If a CAIO is a chief of something, it needs to be a chief of managing either people, resources, or both. It doesn’t make sense for the CAIO to manage the development team implementing Machine Learning (ML) models for enterprise end user customers because much of where AI and ML implementation happens is within the line of business. And even if AI development is not happening within the line of business at enterprise end users, then it’s happening within the IT organization and managed by the CIO. Does it make sense for the CIO to handle all information except AI and ML-related data and information? Not really. Does it make sense for the line of business managers to handle their line of business except when it has to do with AI and ML? Not really. So without people or information to manage within an enterprise, the CAIO is useless. Within a vendor’s organizational structure, the CAIO title makes little sense as well. The CTO usually manages the company’s long-term technology vision and sets strategy for the company as it pursues new business opportunities. It doesn’t make sense for the CTO to manage all strategic initiatives except those relating to AI and ML. Likewise, the actual product development usually rests with the VP of Product Management or the SVP of some product or development organization. Why would that SVP work on those products that are not AI related, if AI is so critical to the company? In these cases, if a technology vendor names a CAIO and it also has a CTO, CIO, and VP Product Management or SVP, lots of conflict over product and strategy ownership will occur. If the CAIO is not managing anyone or crafting a strategy, then what value is that role? Indeed, the best way for a company to signal to internal employees and stakeholders as well as outside customers, investors, partners, and competitors that it is serious about AI and ML is to do the precise opposite of naming a CAIO: not naming a CAIO. Instead, companies that aim to make AI and ML a core part of the organization’s mission, mantra, and message should task each of the existing C-level executives to make AI and ML part of their organization’s mission. The CEO should be “AI-first” and speak in terms of how AI and ML will strategically impact the business. The CIO, CTO, CFO, CMO, Chief of Human Resources, and other strategic executives need to also craft their messages from the lens of AI and ML, if they wish to be portrayed as being strategically focused on AI. To further this statement, if you see any company naming a CAIO while also retaining the CIO, CTO, CMO, and other relevant positions, you should come to the conclusion that AI is not strategic for their firm or they are confused about AI really fits within their organization. After all, why would they separate the CAIO responsibilities from the rest of the organization while keeping those other roles intact? This is a signal that AI is somehow separate from the rest of the business and not core, despite what that firm might otherwise indicate. 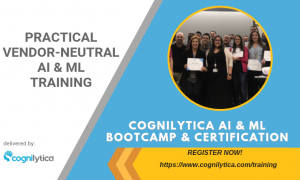 Cognilytica has been deeply engaged with many large, mid-sized, and small enterprises, vendors, and consulting firms, and in our engagements, we spend a lot of time helping organizations focus their resources on making AI provide significant return to their organizations. In our training sessions as well as advisory, we often talk more about management and internal issues more than we do technology issues, because the technology ones are easier to solve. As such, if creating a CAIO position is something on your mind, drop us an email or call us. We’d like to talk with you to figure out what you’re really interested in doing. And if you are a CAIO reading this newsletter or post, let us know what you’re doing and how it’s working in your organization.